Cleveland Chiropractic College provides online CE courses for chiropractors in 37 states. 1. Click "New User" link in the top right hand corner of this page to register. Just click on the "Frequently Asked Questions" button on the left and look for the links to videos that show you how to do everything you need to do on this site. 1. Many states approve Cleveland Online CE courses. Please click the "State Approvals" button on the left side of the page for a complete list. 2. The following states do not approve online continuing education for relicensure hours: FL, IN, KY, LA, MS, OK, WI, WY. 3. 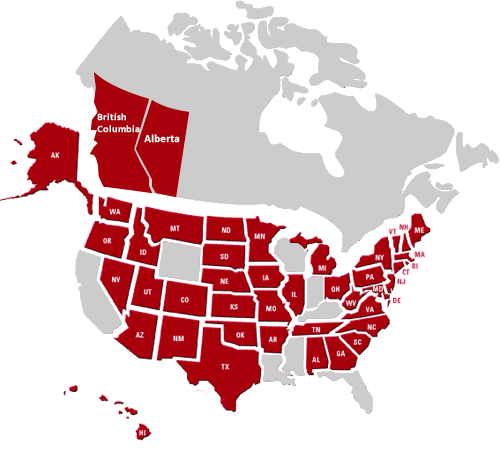 The following states do not provide approval codes. They approve seminars sponsored by the CCE accredited colleges meeting the appropriate standards: CO, CT, DC, ID, IA, MI, MT, NE, OR, RI, SC, SD, UT, VA, VT, WA. In all cases, Doctors should confirm their continuing education requirements and approval status with their state(s). 4. Some states issue specific approve codes, such as MO 2010000861 (Diagnosis hours) or CA-A-14-02-8636 (History and Examination hours). These and other approval codes will appear in your Certificate of Completion you receive by email after course completion.